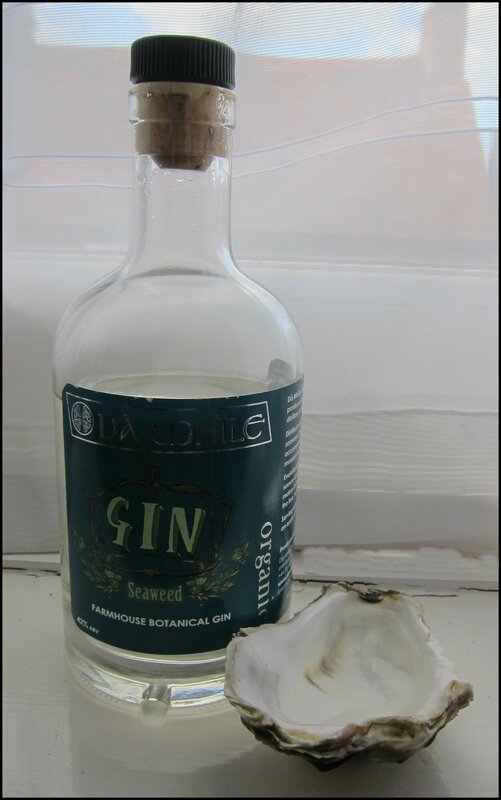 Today is Trafalgar Day and, as such, I thought it was fitting to feature a somewhat nautical gin; namely, Dà Mhìle’s Organic Seaweed Farmhouse Botanical Gin. This gin uses a cut down variation of the botanicals in their Original Gin and, after distillation, it is infused with seaweed from the Newquay coast, before being triple filtered. Nose: Complex and intriguing, with floral hints of rose, as well as citrus, coriander, some dry juniper and pine notes, and salty leafy notes. Taste: A very strong flavour, with the same note that are found on the nose. This is a mostly smooth spirit, with just a touch of warmth at the end. The bold flavours of the gin should make it a great candidate for mixed drinks. There is some pleasant spice elements on the finish. A very powerful drink. Notes of resinous pine and juniper, citrusy coriander, and some herbal notes towards the end, plus a hint of chocolate. Plenty of flavour and rather cooling. Bright and powerful, with a great juniper hit, as well as some complex, leafy, slightly salty, green notes. A smooth and complex Negroni; again, the floral and salty green notes of the gin come through well and add character. This would be a good choice for those who like a Negroni with plenty of flavour. 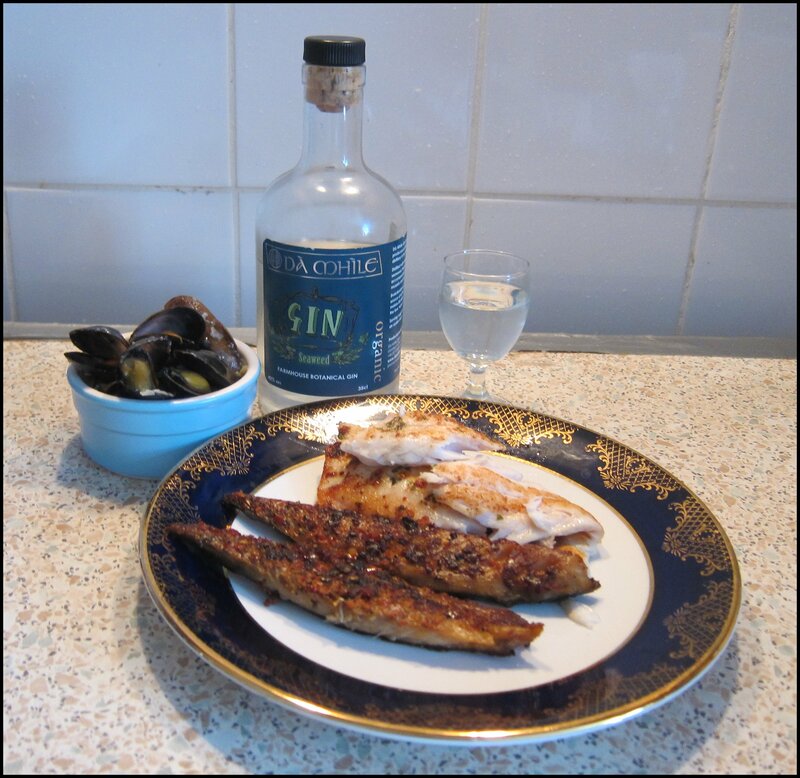 A glass of chilled Seaweed Gin as a fine accompaniment to seafood. Excellent and a great choice for Trafalgar Day. The tart lime works well with the green leafy notes of the gin and its fresh, slightly salty element. Dà Mhìle Seaweed Gin is a bold and flavoursome spirit that, as it was designed to do, goes well with seafood. My favourite drink was the Gimlet. This entry was posted in Vintage Cocktails and tagged da mhile, gin with fish, gin with food, Seaweed Gin, UK Craft Gin, Welsh Gin by DTS. Bookmark the permalink.